The Best Marketing Value for the Money. 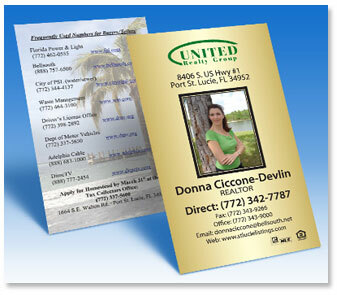 The most cost effective marketing tool you can use to promote your business is a impressive, colorful business card. You'll not only make "good first impressions" with these cards, you'll create lasting impressions. The kind that generate enough money to pay for itself a zillion times over. Everyone should invest more time and money in the design and production of their very valuable, important business cards. We do quality letterhead printing as well. 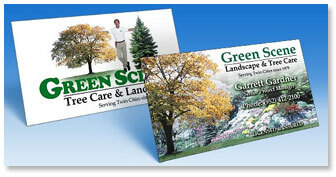 BARK Marketing produces high quality Business Cards in volumes of 1,000 to 100,000+. We turn out dazzling MAGNETIC cards, too. Ask for details. We can produce thousands of POST CARDS too! Ask us to show you some ways to improve the content of your business cards so people will hold onto them, display them and use them the next time they need you. We have a lot of tricks up our sleeves, and we'd love for you to use them. If you're looking for something really cheap, so you can print a lot of them (and you're not as fussy about making impressions as you are SAVING MONEY), give us a call. We have some of the finest suppliers with the fairest prices in the land on hand. So, let us get you a quote. For more information, call 706-546-5058.